I decided to write these few words after reading Vicki Ann Cremona’s article ‘Error of Judgment’ in yesterday’s Times of Malta. 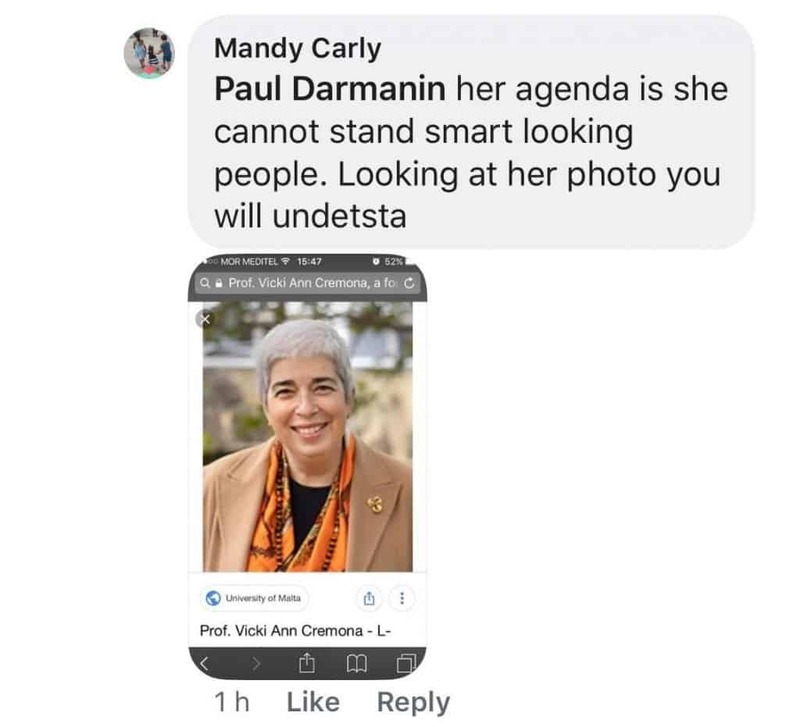 I also took note of the Facebook comment of Ms Mandy Carly, Kristie Debono’s sister, who seems to find it hard to accept the idea of freedom of speech. I don’t think I need to answer to her comment: Professor Vicki Ann Cremona doesn’t need anyone to defend her. Her credentials are the best answer to Ms Carly’s comment. Vicki Ann is Head of Department of Dance Studies and the School of Performing Arts at the University of Malta. She was Ambassador of Malta to France between 2005-2009 and to Tunisia between 2009-2013. She co-edited and co-authored various books. Above of all this, Vicki Ann Cremona is a person of sound principles, who is always ready to stand up against corruption and injustice. One last comment about what Ms Carly wrote. I have had the opportunity to meet women with a political career, women who have reached high positions in important countries and I am sure that for all of them, the expression “smart looking people” has a very different meaning from Ms Carly’s. In reality, what is worrying, is the fact that here we are not discussing a catwalk, but we are dealing with a corrupt government which very few even dare to criticise. We all know what the Daphne Project journalists have revealed about Yorgen Fenech and his connections with Konrad Mizzi and Keith Schembri. 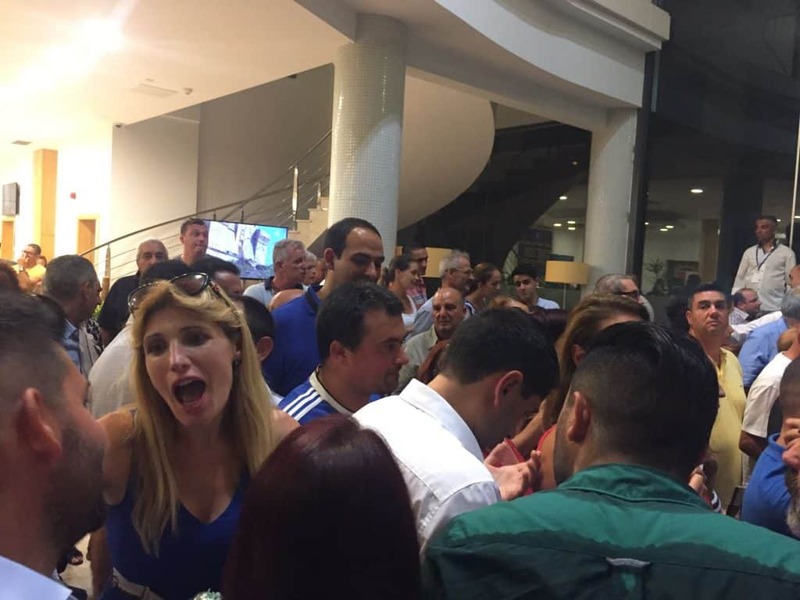 Ms Debono has come up with a variety of reasons for her going to Yorgen Fenech, but we undoubtedly cannot accept her declaration of “error of judgement”. Unfortunately, this is not an isolated case coming from the Opposition Party. It has now become obvious that the Party is far from condemning and fighting corruption. In November 2018, PN dropped the PD no confidence motion against Konrad Mizzi, whose position was untenable. In July 2018 the Leader of the Opposition wanted Dr Simon Busuttil to resign, a few hours after a summary of the Egrant Report was made public. Simon Busuttil was expected to shoulder the responsibility for an investigation he had rightly requested as Leader of the Opposition. Of course, for the present PN Leader of the Opposition, this is surely unheard of. As from September 2017, we have barely ever heard of any serious steps and decisions taken against corruption. But, after all, we are in a happy country; so it comes natural that we have the two main political parties getting on so well together, with the exception of a few that are being isolated and peripheralized. However, this makes our job easier: it is not hard at all to make a distinction between those who comply with corruption and those who are ready to fight against corruption at all costs.